Having revisited a few of his iconic movies in the past, Ridley Scott seems to be doing the same with ‘Gladiator’. A sequel of the film is reportedly in the works with Peter Craig writing the screenplay. An epic film which was a box-office success, ‘Gladiator’ is expected to get a revival on the big screen. While its main character, portrayed by Russell Crowe, was killed off, the sequel is expected to follow another persona. Indeed, the movie is set to continue the story of Lucius, the son of Lucilla. Ridley Scott is reportedly leading the cinematic project. Currently working on another major sequel, ‘Top Gun: Maverick’, Peter Craig is set to partner up with Ridley Scott for ‘Gladiator’. He has adapted several novels, including his own ‘Blood Father’ and ‘The Hunger Games’ series into movies. Throughout his career, he has received nods for a Writers Guild of America Award and a Critics' Choice Movie Award for Best Adapted Screenplay. A widely acclaimed filmmaker, Ridley Scott has directed several blockbusters over the years. His most famous flicks on the big screen include ‘Thelma & Louise’ and ‘Black Hawk Down’ for which he received Oscar nominations. Aside from ‘Gladiator’, he has also revisited his own films such as ‘Alien’ and ‘Blade Runner’. 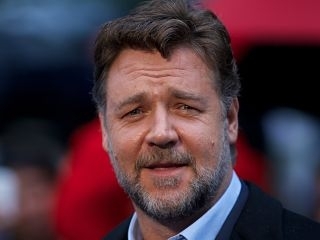 Although Ridley Scott has stated that he wants Russell Crowe to reprise his role in ‘Gladiator 2’, the cast members are still unknown. The actor will be seen next in ‘True History of the Kelly Gang’ alongside George MacKay.